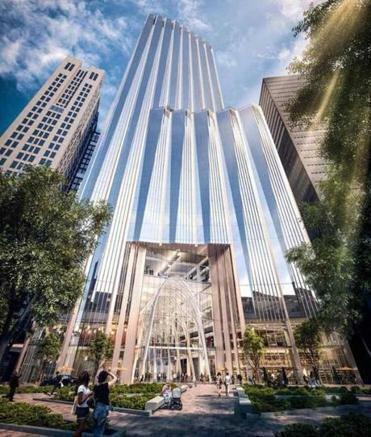 The tower at Winthrop Square proposed by Millennium Partners. Let me get this straight. Millennium Partners proposes a billion-dollar redevelopment of the shuttered Winthrop Square garage and then forgets to check whether the project might violate the state’s shadow laws? That’s the policy that prevents new skyscrapers from casting long shadows for prolonged periods on the Boston Common and Public Garden. Keep in mind, Millennium has built in this town before. Just up the street, in fact, from the city-owned garage, with a trio of projects in Downtown Crossing — a spectacular tower on the old Filene’s site, Millennium Place condos, and the Ritz Carlton. Yes, this is the same firm behind the “Leaning Tower of San Francisco,” a 58-story luxury building that is sinking — so far, 16 inches — amid the soft soil of that city. Millennium Partners released animations showing exactly what kind of shadows its proposed 750-foot skyscraper would cast on the Boston Common and Public Garden. I bring this all up because the shadow laws — and whether one developer deserves an exemption — will almost certainly be a hot topic at a public meeting Thursday on the Winthrop Square project. Millennium claims it only figured out that it would run afoul of these laws in August, shortly after the city of Boston selected it as the leading candidate to redevelop the garage. The firm had bested five other bidders in a process that has dragged on for more than a decade. Millennium discovered the problem as it was reviewing whether its proposed tower — which could rise as high as 775 feet, or about 55 stories — would get clearance from the Federal Aviation Administration, which monitors whether new buildings will interfere with Logan flight paths. Larkin said the firm’s analysis found that any project taller than 365 feet would violate the shadow ordinance. All six proposals for Winthrop Square exceeded that height. Millennium’s proposal, according to the developer’s analysis, would be out of compliance on average about 36 minutes a day over the course of a year on the Common and on average about five minutes a day over the course of a year on the Garden. That doesn’t sound like a big deal until you talk to park advocates. The state shadow laws were passed to protect the horticulture in public parks. But to Vizza, the laws are not just about the tulips, but the ability of thousands of people to enjoy the civic right of sunshine. “It’s important for us to realize it’s as much about the humans as it is about the horticulture,” she said. With the monumental task of needing an act of the Legislature to approve an exemption, did Millennium think its project was dead? Oh, the city agrees, and it is going to bat in a big way for Millennium by seeking the exemption from city councilors and state lawmakers. Mayor Marty Walsh has been trumpeting how the bulk of the proceeds from the $153 million deal for the garage will help Boston parks, including $28 million for the Common. 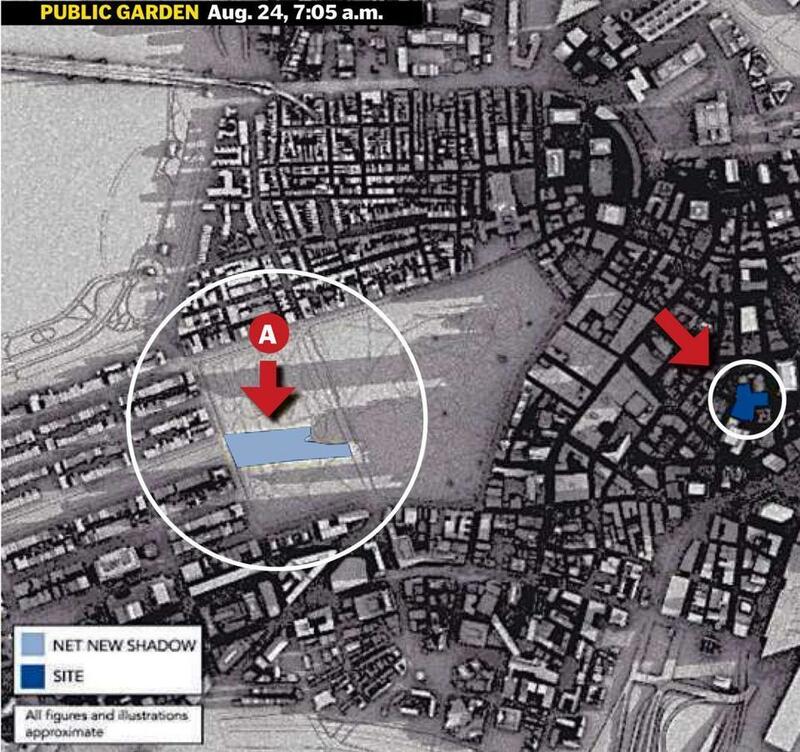 City officials claim they didn’t realize the magnitude of the shadows until Millennium informed them in August. It seems that absolutely nobody in City Hall could remember that the issue surfaced a decade ago when developer Steve Belkin unsuccessfully proposed a 1,000-foot tower on the garage site. This all feels like some tall tales being spun by Millennium and City Hall to justify a Hail Mary attempt to salvage the long-suffering garage project. The truth is that the city should have conducted a robust discussion years ago on whether shadow laws should be changed to accommodate a tall tower in Winthrop Square. I get why the city didn’t want to go there. It can be hard to calculate shadows without a building design. Shadow studies also cost a lot of money; better to shift that expense to the developer. But by waiting until now, the City Council and Legislature must make amendments under pressure from Walsh, who wants the city to collect on a lucrative package. That’s never a good way to craft legislation. 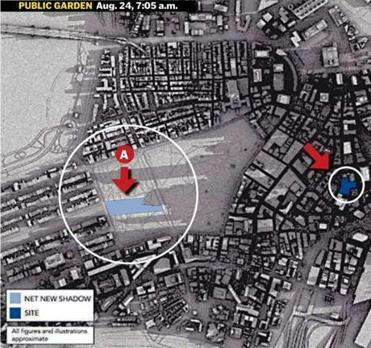 The shadow laws, written in the early 1990s, have served the city well and remained intact through several building booms. The irony about asking for an exception to the rule is that the Winthrop project might get it, but at the cost of other development. How so? By reopening the laws, I can see an effort to make the shadow laws more restrictive, such as covering a broader swath of Boston. That’s something State Representative Byron Rushing, who coauthored the original bill, has been itching to do. In the end, Walsh might get his way to have Millennium build sky-high on Winthrop Square. But the price might come at the cost of future development in Boston. Millennium Partners created two shadows studies. 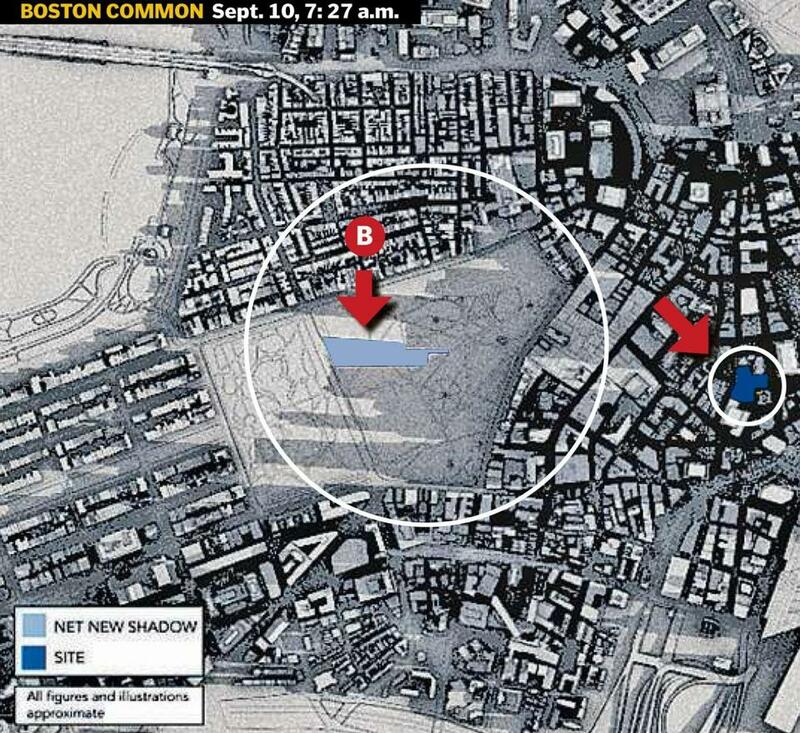 Arrow A, above, shows the effect on the Public Garden, Arrow B, below, the effect on Boston Common. Shirley Leung can be reached at shirley.leung@globe.com and on Twitter @leung.